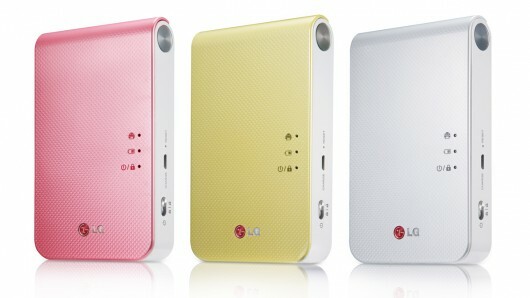 In the beginning of 2014 LG Electronics announced launching of a new variant of its pocket photo printer LG Pocket Photo 2.0 (PD239). It provides printing form any tablets and smartphones with the help of NFC or Bluetooth. The size of the printouts is 5.1 x 7.6 cm (2 x 3 in). Windows Phone, Android and iOS compatible, this multifunctional device will be indispensable, while travelling. Pocket Photo 2.0 is the smallest device for mobile photo printing in the market. The improved model is 4 mm thinner than the previous one and yet could produce more printouts with the resolution of 313 dpi during one battery charge. With LG Pocket Photo-–a special free app-–it’s easy to connect your mobile to the printer and to start the work at once. The app now has new capabilities of photo editing. An advanced set of filters, numeral photo frames, cropping became available. Users also could add QR-code to share a photo with web-community or to add a link to a web site, video or social network page. The PD239 is powered by ZINK Zero Ink Printing Technology. It makes the prints more durable, fade- and smudge-resistant and there is no need to change cartridges or ribbons. 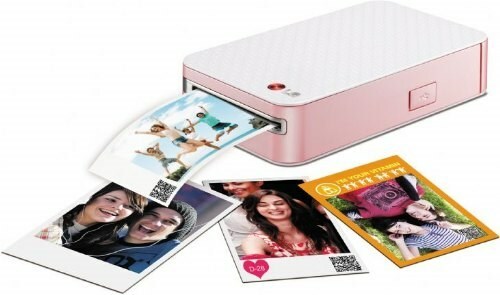 Battery capacity allows to print 30 photos without recharging. The gadget is available in white, pink or yellow. This entry was posted on Thursday, February 13th, 2014 at 11:56 pm	and is filed under LG, mobile, portable, printer. "New Canon Pixma iP8720 Wireless Inkjet Photo Printer"
"New Kodak Alaris i3200, i3400, i3250 And i3450 Scanners"